Earlier today I talked about Tripit and how I use that a lot, however, my most used program would definitely have to be Expertflyer. Expertflyer show’s award seats for many airlines, seats that are available, flight loads and a whole lot more. Well, now you can search Virgin Australia award availability in business and economy. Premium Economy has not been added. Previously you would either search through the Virgin Australia or Delta website. You want to look for two codes. X = Economy awards Z = Business Class awards. Remember you can set alerts for when space is released which is fantastic for travelers that don’t want to spend all day looks for seats. I wrote a post about Virgin Australia long-haul availability so if you want to know more about it, click the link. As you may or may not know, Etihad is a major sponsor for the Abu Dhabi Grand Prix which is held every November at Yas Circuit. Etihad has been doing flyovers for quite some time now, and it never fails to impress, this year was no different. Exactly this time last year I first flew Etihad and didn’t even realize it was on, maybe one year I’ll watch it. Tripit pro would have to be one of the programs I use most when I travel. The program can import all your itineraries directly from your email, tracks points balances, shows you better seats and even provides flight information to your phone, often faster than the airline does! Tripit Pro is currently offering 50% off their normal price of 65 which comes to $32 AUD with the current dollar. Click here to get the 50% off the pro membership! If you like to keep up to date with flight changes and information for your flight this app is brilliant for you. Qatar Airways have just announced that the airline will be launching services to Canberra in 2017. This is the 5th Australian route the airline will operate. Qatar already services Sydney, Perth, Melbourne and Adelaide. The airline is performing quite well on all routes especially on the Sydney flight which got upgraded to their flagship A380 recently. Competition is very apparent between the ME3 and this could be the next step for QR to tease Etihad and Emirates. I’m also more interested in what the airline will use as their equipment. I’m thinking they may use their 777 which feature an older product but who knows, Middle Eastern airlines never fail to surprise. If this flight is approved this is fantastic news for Canberra airport which recently had it’s first International service operated by Singapore Airlines. I’m very interested to see what Qatar does with the route. Tonight I was looking at the menu for an upcoming Emirates first class flight, and I came across something that caught my eye. Emirates Is serving Dom Perignon Vintage 1998 for a limited time in First class. For a limited time on select flights, First Class customers can now enjoy Dom Pérignon Plénitude Deuxième 1998 thanks to our long partnership with Dom Pérignon. It joins the 2006 vintage on board. I always get curious at the prices of alcohol that airlines serve and I went and had a look at the price. As I can’t drink I don’t know what it’s like so If you’re traveling Emirates first soon please take advantage of it. 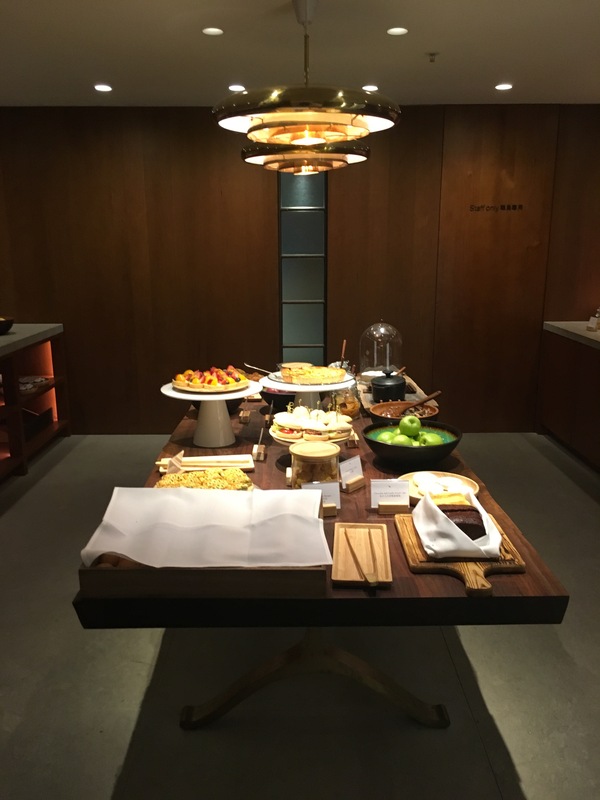 Cathay Pacific has today soft-opened their much anticipated London Heathrow lounge in T3. The lounge will officially open on December 7th to eligible customers. The lounge has been completely upgraded and is now 1200 square meters in size. 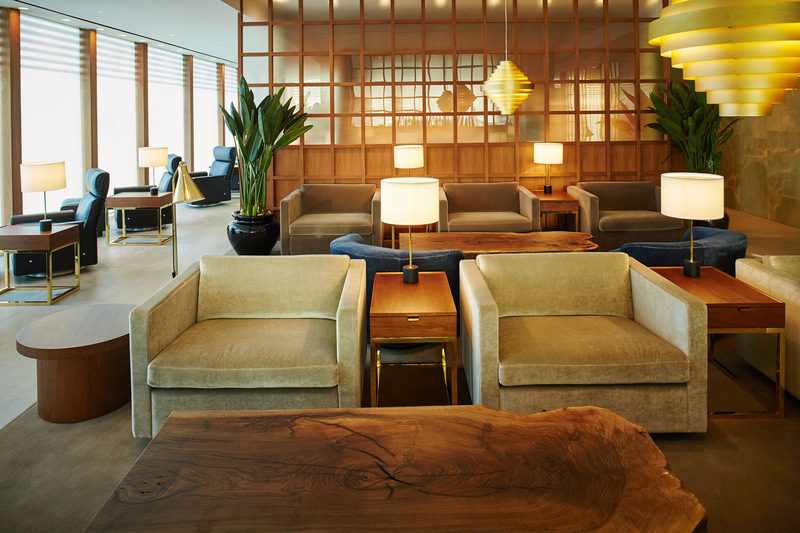 The lounge features separate areas for business and first class passengers. First Class passengers will access to the ‘Dining Room’ and will also have dishes to order from a chef. First passengers can also use the ‘Pantry’ for grabbing snacks and drinks, very similar to the Pier in Hong Kong. 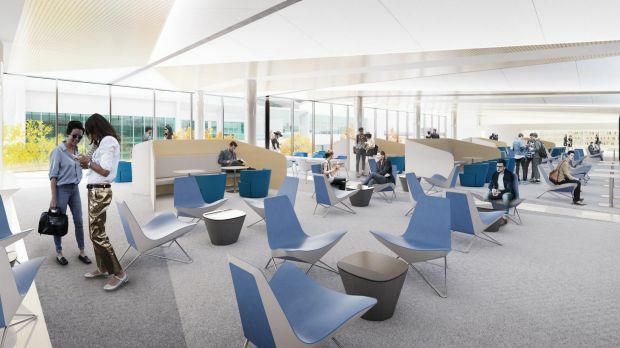 Business passengers will be able to access their famous ‘Noodle Bar’ and the ‘Food Hall’ which has many Asian and international dishes to choose from. The lounge also features eight shower suites and a whole lot of comfortable seating. 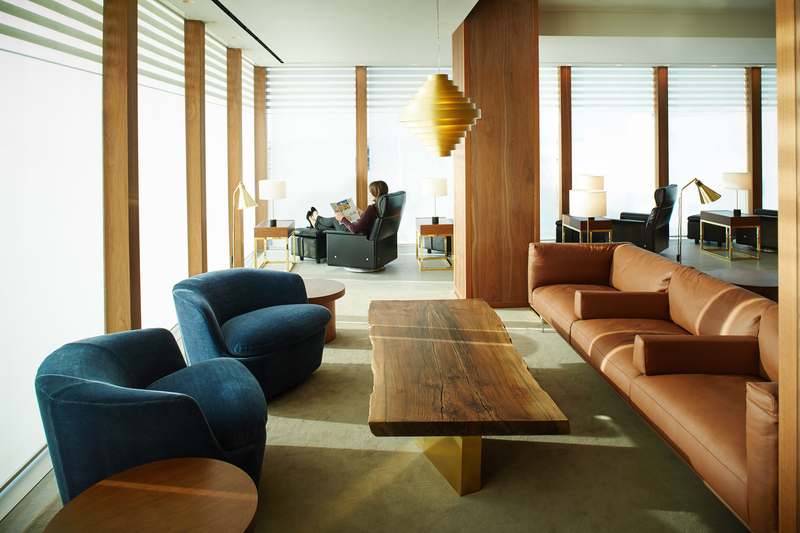 The lounge is designed by Studioilse, and they have designed the London lounge around their award winning lounges in various airports. 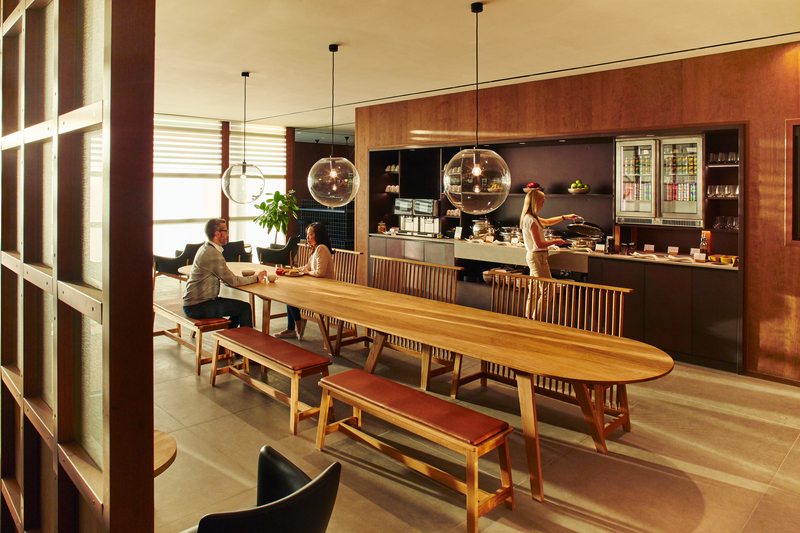 At 12000 square meters, the lounge is filled with new seating. 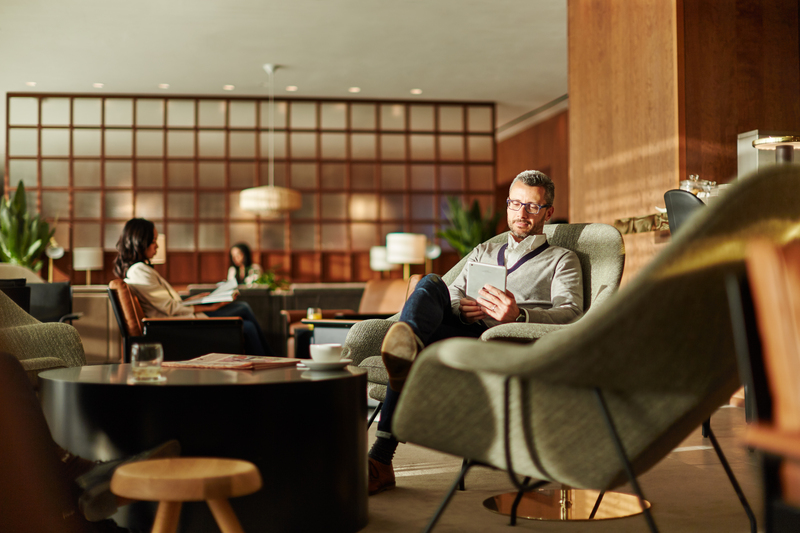 First class & Business class Oneworld Emerald & Sapphire members and Marco Polo elites will be able to access the lounge from 5:30 am from Monday to Saturday and 7:30 am on Sunday until 10:30 pm. The new lounge looks very impressive. I like how Cathay keep their lounge almost the same but also have some slight changes which make them great to visit.